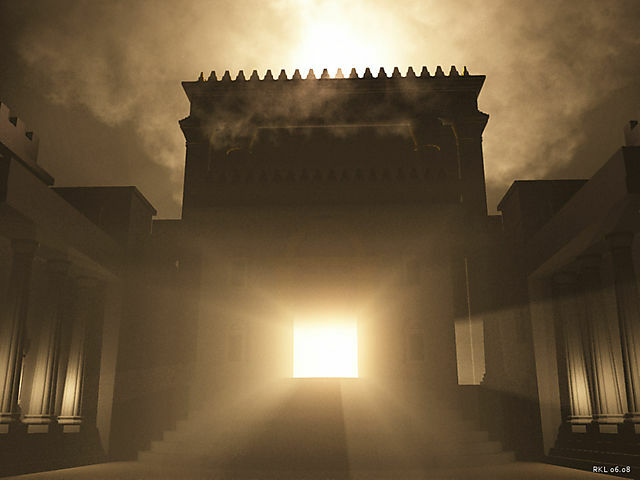 Praying tonight: I was meditating on the glory of the Lord being seen in His temple. Thinking about the state of the church—full of lukewarmness, full of failure and weakness, seemingly divided. I wondered if we are at all, in any measure, the temple of His glory we are called to be. We live by faith, not by sight (2 Cor. 5:7). I don’t know how God sees us or whether there is, in fact, a manifestation of His glory beyond what I can comprehend or perceive. But I have to hope this is the case. The Lord reminded me of Isaiah 60: “Arise, shine, for your light has come, and the glory of the LORD rises upon you. See, darkness covers the earth and thick darkness is over the peoples, but the LORD rises upon you and his glory appears over you” (Isaiah 60:1-2). This seems to speak about the darkness of how things appear to my human viewpoint, and how the Lord sees His glory over us. Isaiah 62:1-3 talk of how the Lord (through His prophet) won’t be silent until Jerusalem’s righteousness and salvation shine out of her. Kings and nations will see her glory and she will have a new name. Again, despite our shortcomings, God’s glory will be seen in us. Any deficiency in His manifestation is the Lord’s to remedy. He will not stop pouring forth His word until He is shining as fully from us as He wishes. To make righteousness and salvation blaze from us is *His* work. Also, Ephesians 3:14-21 talk of the church grasping the love of Christ and promise that the Lord can do immeasurably more than we can ask or imagine toward that end. We don’t have to be able to see or imagine God’s glory fully shining from us. What we can’t even imagine, He is able to do more than. Finally, 2 Corinthians 4 says we are jars of clay, subject to pressure, failure, weakness, and brokenness. Our failings and lack make it is clear the power is of God and not us. He doesn’t require a beautified temple. Solomon’s temple was more grand than the post-exilic temple. But of that second temple God said, “The glory of this present house will be greater than the glory of the former house” (Hag. 2:9). It’s about the glory, not the temple.